We are offering a wide range of Bubble Cap Injection Moulding Machine. Our offered machines are developed and designed keeping in view the industry laid standard. We are glad to introduce our self as manufacturer of Bubble cap Injection moulding machine in Ahmedabad, Gujarat, India. We are serving in this plastic industry since so many year. We are leading manufacturer and supplier of Cap Moudling Machine in ahmedabad, Gujarat, India. 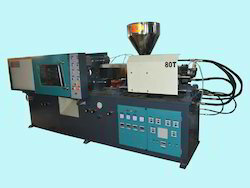 We have large range of Cap Moulding Machine. Looking for Bubble Cap Injection Moulding Machine ?